Last week Alice was only at school for the morning, which meant that we had the afternoons all together. We’ve had mainly quiet afternoons at home, as Alice has been tired. But, I knew the sunny days would be gone soon and we took a trip to the park with my mum one lovely sunny afternoon. Alice is too brave sometimes and my heart was in my mouth when she climbed right to the top! Lovely pictures, hope it wasn’t too hard on you either! And, wow that is high!! I remember how scared I first was when J climbed one of these, wow to the top! Ah bless, adorable. And this photo really shows the difference a couple of years makes. From a two year old messing about with the sticks on the floor, to a grown up four year old at the top of the climbing frame. Bless them both. 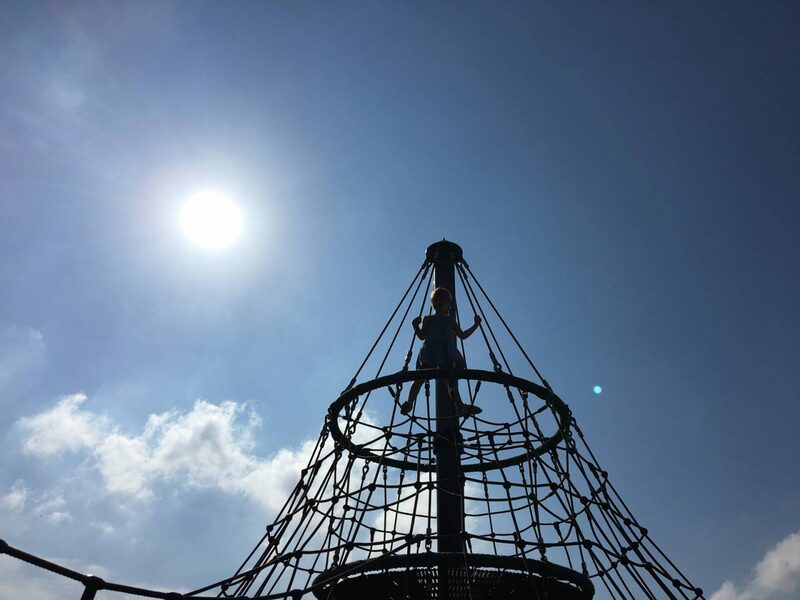 I love that shot of Alice at the top of that climbing frame – it looks so high! She’s a much braver girl than me! 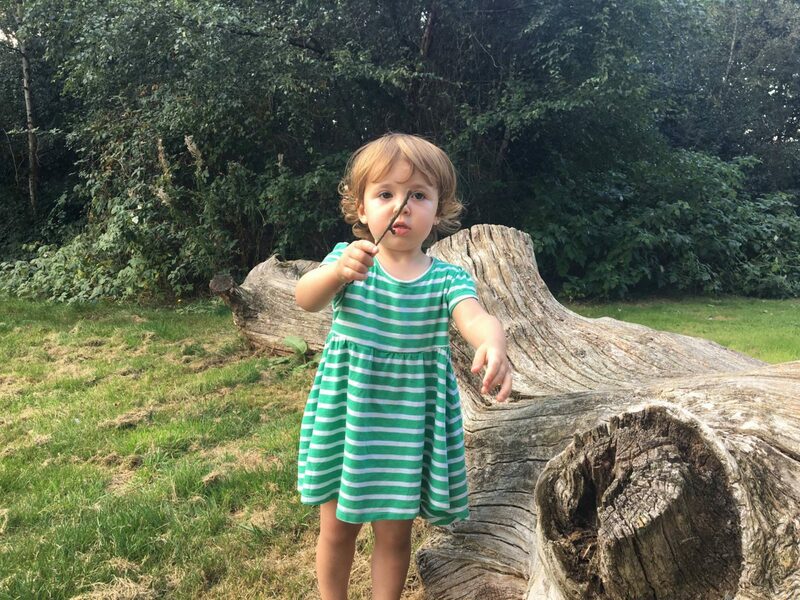 Holly is so cute with her stick as well – it’s definitely one of the favourite toddler ‘toys’ isn’t it! Oh that is so adorable. We love the stick man. I love little one’s imaginations.